Will a cell booster overload and destroy your phone? Not a chance. There’s an urban legend that if you hook up a cellular signal booster and you don’t actually need one, the extra power will destroy your phone and possibly bring down the entire cell site. In fact, it’s never been true, and this rumor has been circulating for a decade. First of all a cellular signal booster is simply not capable of putting out enough signal to fry your phone. Trust me, I’ve actually taken my own personal phone and physically touched it to the antenna of a cell booster and the only thing that happened was I got 5 bars. It’s just not enough broadcast power. Now, I can’t tell you what would happen if you climbed a cell tower and touched one of those broadcast antennas, so please don’t do that. Not only that, but today’s cell towers monitor the indoor and outdoor signals about 20 times a second to adjust broadcast power. That way they guarantee that there isn’t and won’t ever be a situation where too much power is going to the wrong place. If you’re worried that your strong signal will bring down the cellular network, I deeply urge you to find a new source for your concern. Trust me, there are a lot of things to worry about in this world and this is not one of them. The only thing that’s going to happen if you put in a cellular signal booster when it’s not needed is, well you’re not going to get your money’s worth. But, even that isn’t going to happen since about 90% of indoor spaces have a dead spot or weak coverage spot somewhere, and a cell booster that’s placed properly can get rid of that. There’s so much to like about cellular signal boosters, and let me tell you, all those rumors out there just aren’t true. 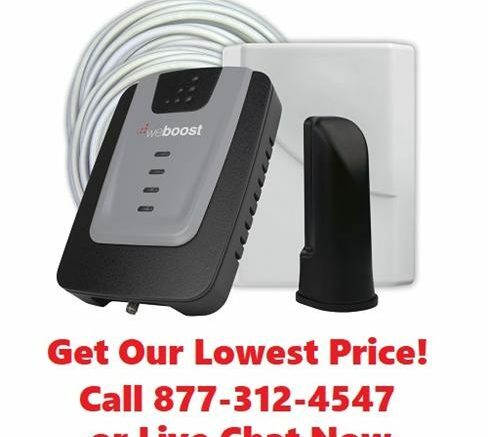 If you don’t have a cell booster, shop the great selection at SolidSignal.com! What is a cell booster?